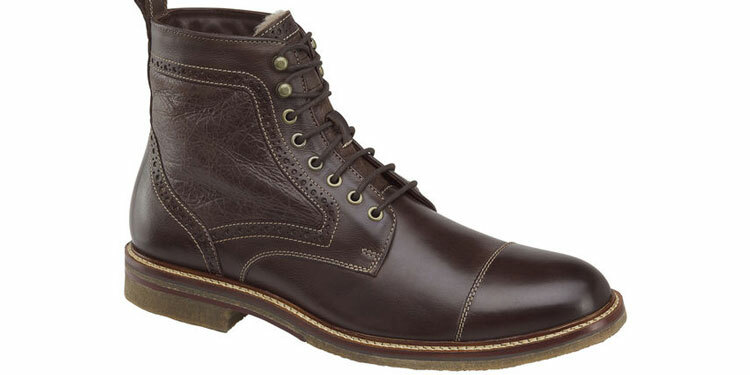 When looking for particularly casual men’s boots, there’s a wealth of options out there. In fact, we’re often spoiled for choice! Like something you see listed above? Use the links to jump straight to them! We’ll also cover the characteristics of casual boots in terms of material, design and colour. Continue reading below to learn more! Don’t have time to read about each shoe? You can use the Quick Buy Guide to head straight to the retailers! Otherwise, scroll down to discover their various details. Want To See More Boots Guides? What Are The Best Casual Boots For Men? Ever since we reviewed it (linked below), the Forrester Chukka is one of our firm favourites. Made for the 1850 Collection, it features an artisanal style thanks to hand-burnished Italian calfskin and genuine crepe rubber soles. Although casual, these are surprisingly versatile and we’d happily wear them with a more laid-back suit. However, they excel when worn casually and add a particular style to even the most dressed down attire. There’s a formal black option too but if you’re looking for casual boots, go for the brown. This leather colour is much more versatile in the casual side of the formality spectrum. Another favourite of ours, Wolverine’s classic 1000-Mile boot offers quality, style and comfort. With materials sourced from Chicago’s own Horween Leather Company and a Goodyear welt, it’s a gift that just keeps giving. In our review, you’ll notice that we’re quite fond of it with a suit for an avant-garde look. However, they’re essentially casual boots and will go very well with just about any style thanks to their versatile design. Jeans, chinos, corduroy or wool, they’re fantastic in all circumstances. If you’re looking for something casual, opt for the Cordovan, rust tan or brown. Nevertheless, there’s also a black option for something more formal. With a genuine shearling line and storm welt, these are excellent boots for those wet or cold months. For extra traction, you’ll also benefit from the crepe rubber sole. 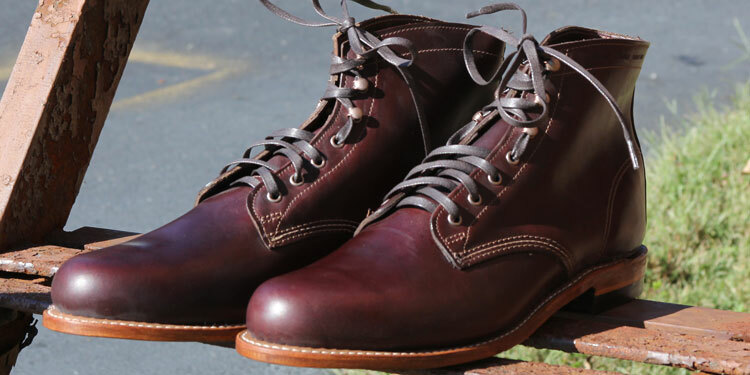 However, we love the style of these boots and their burnished Italian calfskin finish. We’d happily wear these with a suit – especially if the weather is particularly poor. However, they’re overall fantastic casual boots and perfectly wearable with weekend attire. They’ll add a touch of panache to even the most mundane hoodie and jeans. These are only available in brown. Nevertheless, with visual features such as a balmoral cap toe and supple leather side panels, they offer some versatility for a wide variety of dress codes. As they’re constructed from calf crust leather from Ecco’s own tanneries, these are naturally stylish yet casual boots. Hand buffing and polishing adds to the distressed leather vintage style for something decidedly casual. The artisanal aesthetic brought on by the leather’s treatment and wingtip design makes these boots great for wearing when dressing down. Great with stone-washed jeans, they also look fine in business casual attire. For casual use, we prefer the “nature” brown leather over the black option. This will not only be more casual but more versatile for seamlessly introducing into your wardrobe rotation. 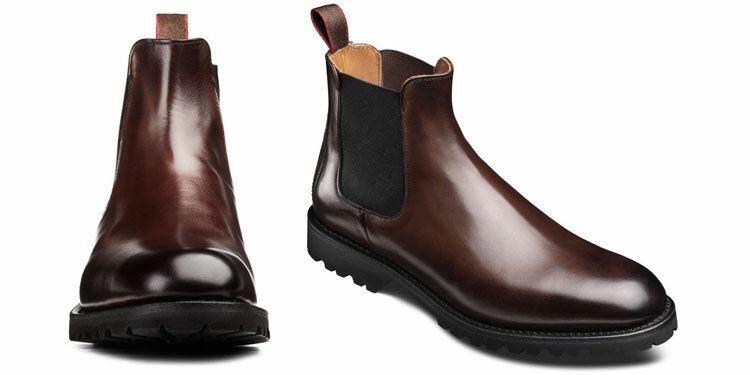 If you want something a little smarter than the boots above, consider opting for a classic Chelsea boot. What we love about Allen Edmonds’ interpretation of this classic are the Dainite soles as well as the premium Goodyear welt. Popularised during the Beatles in the 1960s, they were often seen with Mod-style suits. Given today’s preference for slim fits and short lapels, these make them an ideal choice. However, they tend to look their very best with business casual attire such as jeans paired with a sport jacket. If you want something that’s easier to wear in casual environments, opt for the brown calfskin leather. However, if you would prefer them for more formal use such as cocktail attire, go for the black leather! 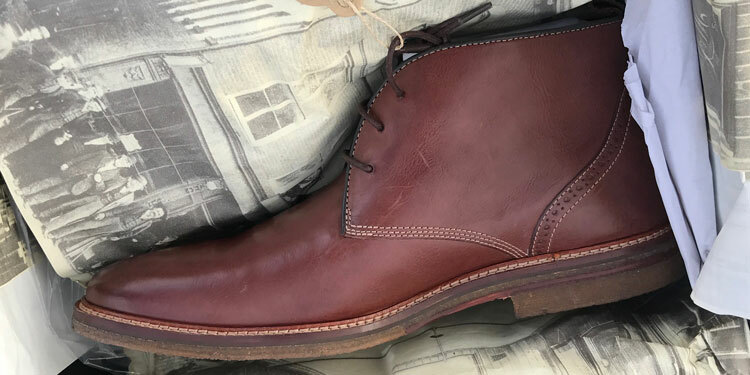 Although another Chukka boot, the design is distinctively different compared to the Forresters above. We’re not sure if these are named after the legend’s 22nd album but they exude the same style and charisma. 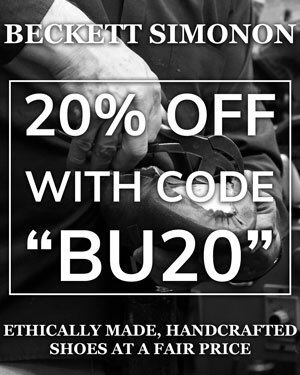 With a Blake stitch construction and recraftable leather sole, you quite both quality and style. The Corazón is more formal than regular Chukka boots thanks to a smooth full-grain leather finish and snipped toe. Whilst these would look fantastic with a business professional suit, they’re also great for dressier casual wear too. There are several possibilities to choose from as both brown and black can be bought as either full-grain or suede calfskin leather. We love the full-grain as their design renders then quite formal if required. However, opt for the suede if you want something distinctively casual. Another alternative to a conventional style, these stunning Chelsea boots feature a plethora of brogue details including and streamlined wingtip. Made from European Box Calf full grain leather with a Goodyear welt construction, they’re a perfectly apt homage to the iconic guitarist’s year of birth. 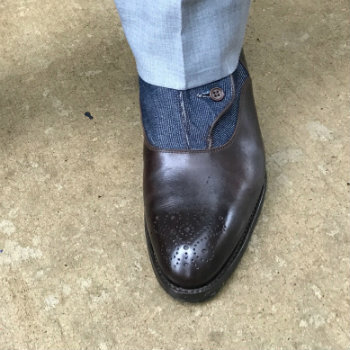 Whether you’re in a suit or jeans, these are multidimensional boots that can be worn across a very wide spectrum of dress codes. Like the Corazón Chukkas above, they look just as good in formal settings as casual wear. You can find these boots in either black or tan full-grain leather. We prefer the tan, which is currently only in stock on Zappos for the same price but sold out on the brand’s official site. Alternatively, the black is great for more formal occasions. 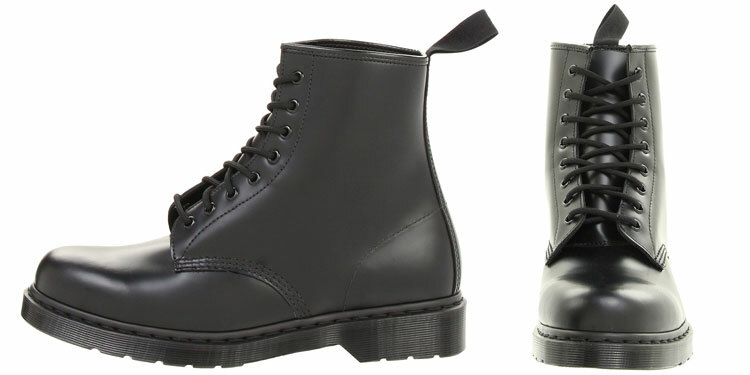 An iconic and classic boot that has enjoyed a long association with counter culture, Dr Martens are timelessly stylish. Now seen more with more forward-fashion attire, they’re a great option as a casual boot. These are one of their best sellers and a long-time part of their Core Collection. Made with the 59 Last and featuring black soles, they’re more understated than some of Dr Marten’s particularly outlandish and punky boots. These are great for a more subtle casual style. However, we’re still fond of wearing them with business casual attire too! If you’re feeling brave, there’s also a white option for very flashy boots! However, we aren’t ready to make such a statement and will enjoy the tried-and-tested black leather. What Are Casual Men’s Boots? When it comes to boots, the stoic lines of formality can become somewhat blurred. This is largely because boots were originally considered only utilitarian footwear and it wasn’t until recent years that they’ve started to be worn formally. Although fashion is known for its fickle ways, it appears that boots are very much here to stay. As such, how do we make the distinction between dressy and casual boots? Firstly, it’s important to think about your surroundings and your wardrobe. Boots are still highly regarded as generally casual footwear and something that tends to be worn in more liberal environments. If your profession takes place in a very conservative workplace, then it’s likely that all boots bar a few exceptions will be considered casual. In this case, the only real exceptions that come to mind are Chelsea boots, which have enjoyed a higher status than others thanks to their 1960s origins. Therefore, could we simply suggest that all boots are casual? Well, times are changing so it’s no longer as black and white as that. In fact, boots are considered quite versatile and can be worn across many dress codes with the proper wardrobe. Nevertheless, the best practice is to keep in mind the boots’ characteristics and how they will fit into a scale of formality. Firstly, it’s important to keep in mind the boot style and how it is generally perceived. Some styles are very casual by default whilst others have a greater potential to be formal. Chelsea Boot: Thanks to its association with Mod suits and the Beatles, the Chelsea has enjoyed a status of greater formality over the years. However, that doesn’t stop it from being worn casually when the opportunity arises. Wingtip Boot: Essentially a boot featuring brogue details, this traditional ornamentation helps render a boot more refined and dressy. 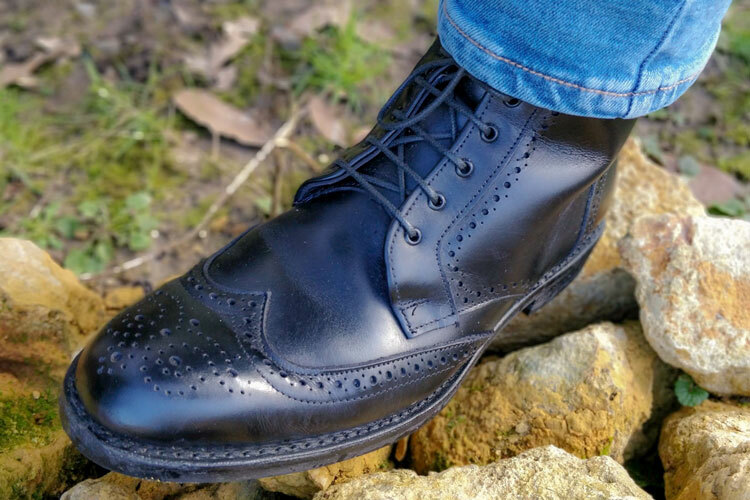 Conversely, brogue shoes are usually seen as less formal than regular Oxfords. Cuban Heel: A homage to Latin footwear, smooth and streamlined Cuban heel boots feature a subtle side zip for easy opening. Their design is quite dressy but they’re seen as avant-garde and niche footwear. Monkstrap Boot: As it’s a relative newcomer to men’s style, monkstrap boots have a formal appearance but could be considered too unorthodox. However, they borrow from formal styles to create a very dressy boot. Blucher Boot: The most iconic and classic boot style, their origins are steeped in blue collar tradition. Based on the classic Derby shoe, they’re considered to be quite casual. However, depending on their design, ornamentation, material and colours, they can be rendered quite formal. Chukka Boot: Undoubtedly the most casual boot style, Chukkas and Desert boots are starting to become seen with suits. Bear in mind that boot styles are a lot more dynamic than shoes, which have their own established designs that date back generations. Manufacturers enjoy a greater range of freedom, which allows for greater expression in designs. These slight variations can alter a boot’s formality. For instance, adding a balmoral cap toe, which is a hallmark of Oxford shoes, will render them much dressier. Meanwhile, chunkier soles or rounded toe boxes will make them more casual in appearance. Before considering the material itself, note that the way its treated plays a role too. For instance, full-grain leather is an otherwise formal leather. However, if it’s been given a matte or burnished finish, it becomes more casual. The level of shine plays a vital role here. Patent Leather: Very rare to find with boots, patent leather features a distinctive shine. However, you’ll unlikely see patent leather boots. Full-Grain Leather: As mentioned above, this is the most formal leather grade that’s used for boots. With its high quality and tight fibres, it’s a very smooth and formal leather. Pebbled Leather: A remarkably stylish leather, pebbled leather is robust and much more casual, which makes it a great option. Suede & Nubuck: Although products of different side of the hide, their appearance is similar. Suede leather is a very casual type of leather. Canvas & Wool: It’s becoming popular for some boots to feature canvas or tweed panels on the sides. Whilst the tweed can sometimes be worn relatively formally, it’s generally perceived as a casual material. Remember that the way the leather has been treated makes a huge difference. Burnished and painted leathers add complexity but also reduce formality. Similarly, boots are often treated to create a distressed or vintage look, which is equally casual. A medallion at the toe of a button boot. Black: Classic black is gauranteed to be the most formal. This doesn’t mean that it’s unwearable in casual attire but it will be harder to incorporate it into your wardrobe. Burgundy & Oxblood: A marriage of brown and red, the dark and distinctive shade of either Oxblood or Burgundy can actually be very formal depending on the way the leather was treated. Brown: Although this can come in several shades, brown is the most versatile of colours. Remember that the lighter the brown, the more casual the boot. Tan: The least formal in the shades of brown, tan leather is probably one of the best options for casual wear. 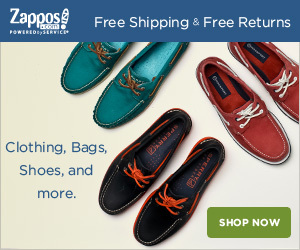 Other Colours: By default, as soon as any footwear isn’t black or brown, it’s considered very casual footwear. Reviewed by Jerry D., on 19th September . "Classic casual boots. Lots of different styles to discover in this handy guide!"